Electricians in Borehamwood, WD6 5HD. Covering North West London, Watford and Barnet areas. At JIF Electrical we focus on professional service for our domestic and commercial customers. To meet our customers' needs JIF Electrical is covered with Public Liability Insurance for £5 million pounds. 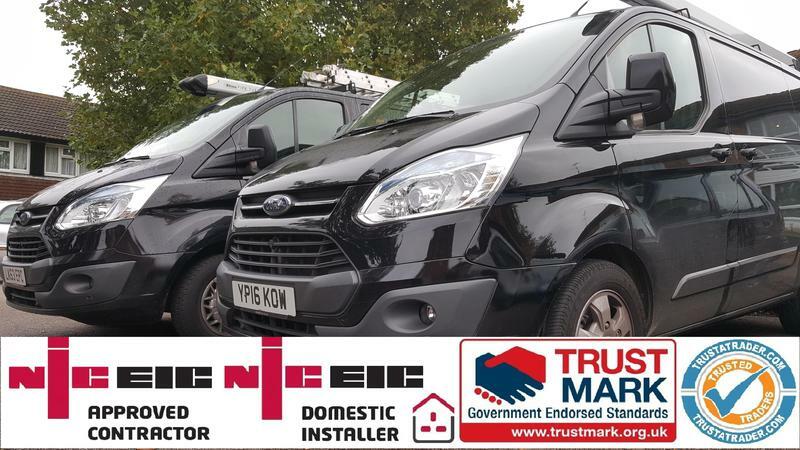 We are registered NICEIC Domestic Installers and our prices include 12 months' parts and labour warranty for extra peace of mind. Although our main work is commercial appliance repairs and services, we also specialise in domestic electrical services. We are always looking for new customers such as estate agencies, bakeries, commercial kitchens, coffee shops etc. as well as private clients. All clients will be given the professional service they expect, with no job considered as too big or too small. No power - NO problem! Just contact us and we'll be there in the quickest time possible to restore your services and have you back to normal! Contact us today to discuss all your electrical requirements or visit our website for comprehensive information on how we can help. We are happy to be available for free friendly, professional and helpful advice. We look forward to hearing from you. "Excellent service, arrived early and completed the job to an exceptional standard. They explained everything they were going to do first and listened to my requirements exceptionally well. I will definitely use them again and recommend to others." "I got home to find my electrics out in my house. I googled local electricians JIF's number was first. I called them and Janusz answered. He quickly told me on the phone how to check my Fuse Box and minutes later I had power restored! I cant thank him enough and would use any time I have other electrical problems. Thank you!" "We've been struggling to remove a number of bulbs for the past few weeks as they'd fused to their fittings. Janus was prompt on arranging a time to help us sort them, turned up on time and was efficient in getting them removed, recommending replacements and helping us to get things sorted." "Great time keeping and very punctual. Asked to do a job with a very short timescale and JIF delivered. Very impressed and would highly recommend"